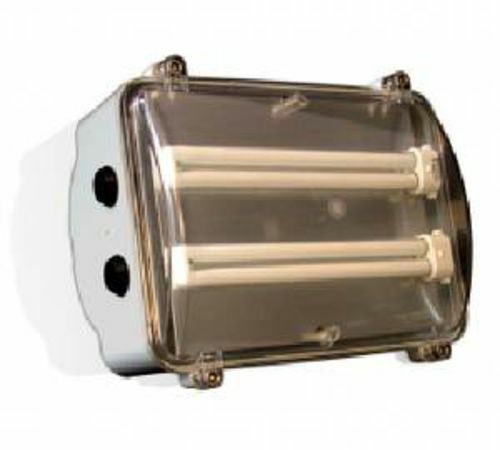 The ModulEx B bulkhead luminaire is designed for use in Zone 1 hazardous areas. Utilising 2 x 18W compact fluorescent lamps, this provides excellent levels of illumination in a very compact body. Available as a self contained emergency battery backup version. Manufactured in polycarbonate and protected to IP66/67.